Accommodation in Dublin, particularly when the City is hosting a concert or major event, can be difficult to get at a reasonable rate. 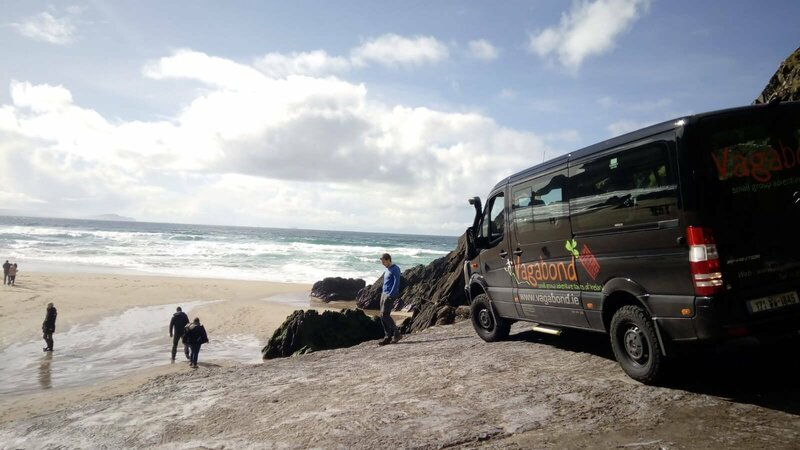 If you’ve booked your tour, we strongly advise booking your accommodation as soon as possible. Below we’ve listed a few accommodation options to explore. All our tours start from the Grand Canal Hotel in Dublin. So the ideal option is to get a room there. If you are having difficulty getting a room, it’s best to get somewhere close by and simply hop in a taxi that morning to be there for 8am. As a rule of thumb, we recommend you stay within a 10 kilometres (a little over 6 miles) of the Grand Canal Hotel. The most you should pay for a taxi within that distance is €32. That is if you book your taxi, travel at a premium time (before 8am is considered premium time) and have bags and a few passengers. Tipping your taxi driver isn’t expected, but appreciated. There are plenty of accommodation options close to the Grand Canal Hotel. These range from hotels, townhouses and B&B’s. A short taxi ride there should cost no more than €10. Any accommodation with the Dublin 4 or Ballsbridge area would be relatively close to the Grand Canal Hotel. You can find more accommodation in Ballsbridge here. For those looking to explore Dublin City Centre easily, there are plenty of options within the city. Taxi fares can range from €10- €20 to get from a city centre hotel to the Grand Canal Hotel. Click on the image below to explore the city centre accommodation options. 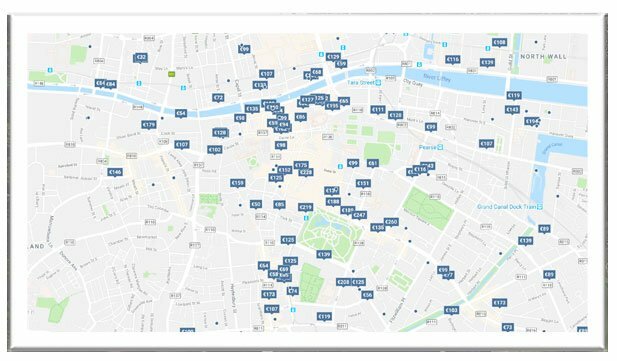 A Google Search of Accommodation in Dublin City Centre. Click the image to be brought to the page. The DART (Dublin Area Rapid Transport) is an electric rail system. If you chose to stay at some of the options outlined below, this is a great way to get to Grand Canal Hotel, as there is a station less than five minutes (walk) away. A word of caution though – this is no use to you if your tour starts on a Sunday, as the trains don’t start early enough. 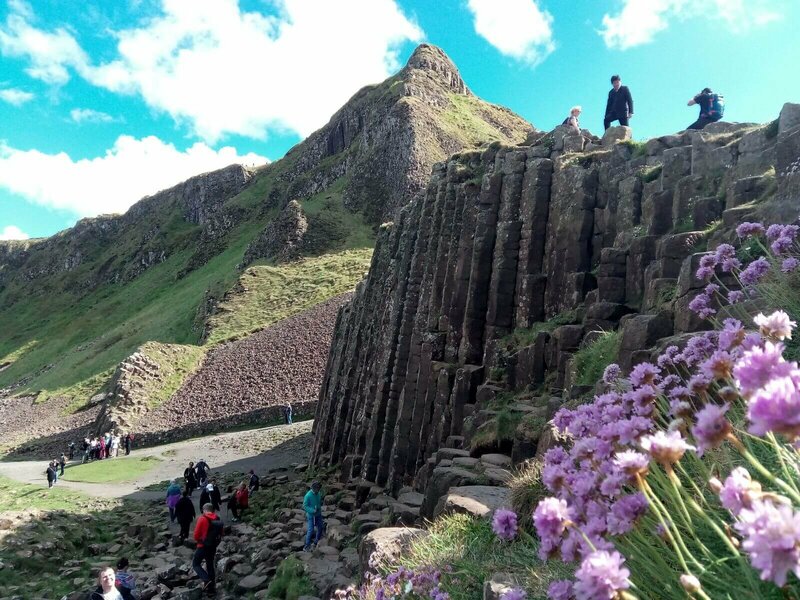 It is ideal for the 12 Day Giant Irish Adventure Tour, 11 Day Discover Ireland Tour and 7 Day Treasure Ireland Tour. A word of caution though – on Sundays, as the trains don’t start early enough for you to arrive at the Grand Canal Hotel for the start of the tour. If your tour starts on a Sunday, factor in at least €32 for a taxi ride in the morning if you’re coming from Dun Laoghaire. 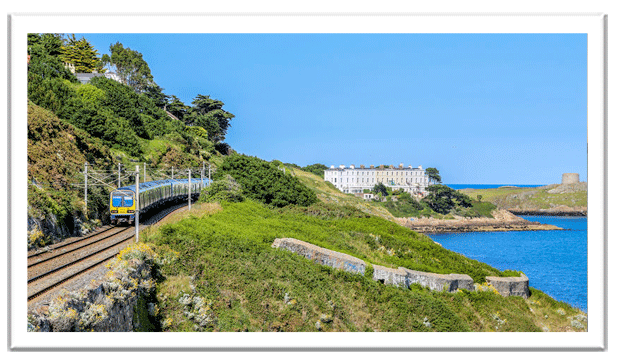 Dun Laoghaire is a lovely seaside town along along the DART line with a few accommodation options. If you’re staying in Dun Laoghaire, it is best to get either the 07:14am DART from Dun Laoghaire to Grand Canal Dock, and it’s a short 9 minute walk or two minute taxi ride to the Grand Hotel. See Irish Rail times here. Map from Grand Canal Dock to Grand Canal Hotel. If you like the idea of staying in castle and are OK with being a bit out of the city (not too far), you’ll love Clontarf Castle. 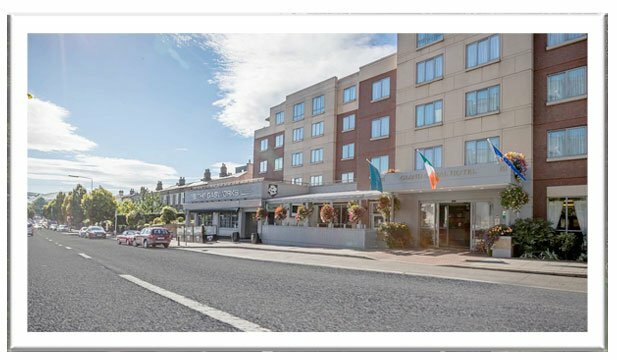 A 4 star Castle hotel in Clontarf Dublin, and only a 20 minute taxi drive to Grand Canal Hotel. 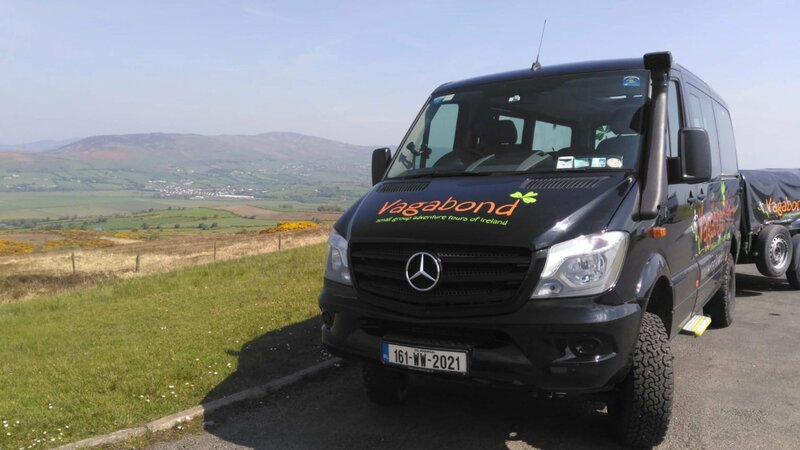 At Vagabond Tours of Ireland, we are huge advocates of sustainable tourism. That is why we’d like to encourage our guests to consider staying in one of the many green accommodation providers in Dublin. You can find a list of green accommodation here. Dublin airport is only 12 kilometres or 7 miles from Dublin City. However if you’d prefer to stay closer to Dublin Airport, you’ll find a range of accommodation here.